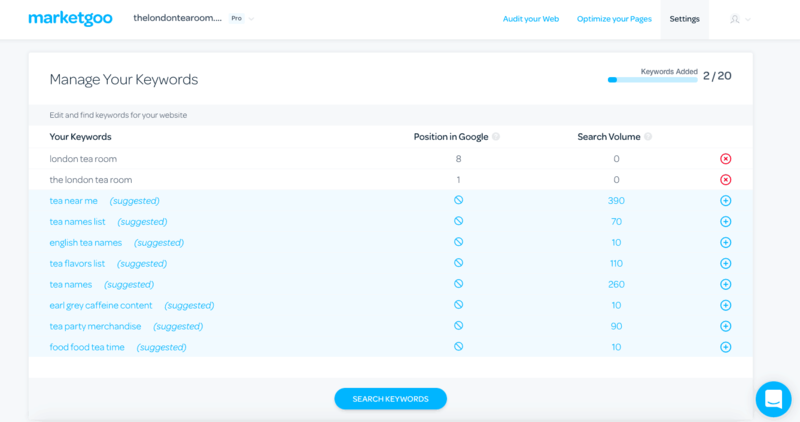 As soon as you sign up, MarketGoo submits your website to major search engines (Google, Yahoo!, and Bing), and continuously checks to see where you rank in search results. Preoccupation over search engine results is often a reason our users come to us: they are not ranking, they want to know how to rank on page 1 of search results, etc. MarketGoo is synonymous with simplicity; we break down these problems into manageable solutions, and we don’t guarantee unattainable results like reaching a top ranking in a matter of days. Any tool or service that guarantees this is either not truthful, or using frowned upon tactics which can get your site penalized. We’re experts in helping you present the best possible version of your website which is what search engines, and your potential visitors, are expecting. In this area, we focus exclusively on what your website can do to make itself more attractive and relevant to search engines. The tasks you will complete here will help your potential visitors to identify what it’s about, so it’s all about accurate content, and using the correct keywords for each page of your site. What is a keyword in search engine optimization? A keyword in search engine optimization is a word or phrase that your potential visitors will type into Google or Bing in order to find your website’s products, services and/or content. 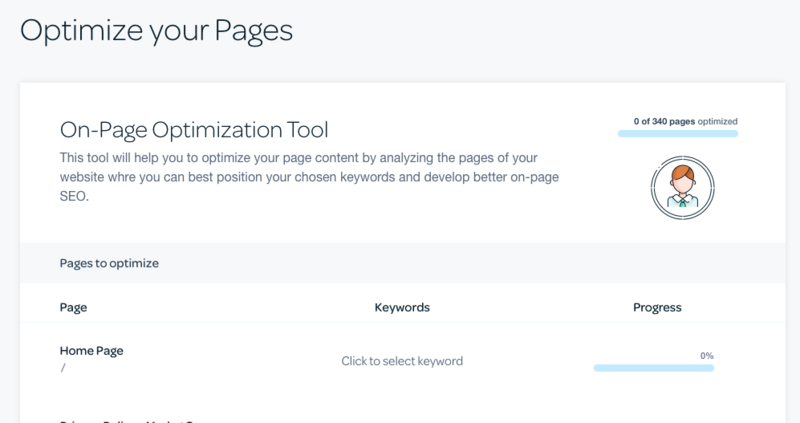 To optimize for this keyword means you research and select the keywords most likely to drive traffic from search engine results right to your website, and you’ll usually pick one keyword per individual page of your site. We provide you with a main table where you will see 2 tabs: one contains the list of pages from your site that you have yet to prepare for optimization by associating them with a specific keyword, and the other tab contains the list of pages that you have already associated with a keyword, thus preparing it for optimization. Keywords and optimization are two concepts that tend to be confusing and overwhelming (even for experienced users! ), and our aim here is to not only aid you in making each page on your site attractive to users and therefore search engines, but also to educate you on why you should take a certain approach and how potential visitors are searching for your page. The good news is that we will check your pages after you optimize them, so you can keep improving your SEO. If you’d first like to understand what exactly a keyword is, don’t worry! We built MarketGoo for users who are new to the world of SEO. 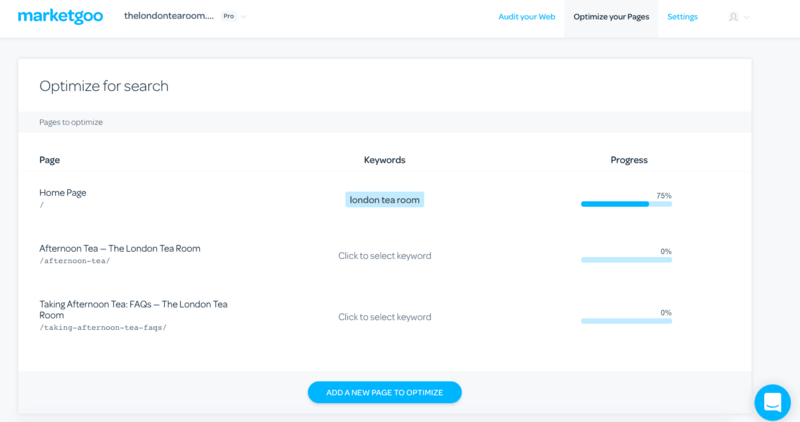 Read our in-depth guide on How to Choose Keywords for SEO.